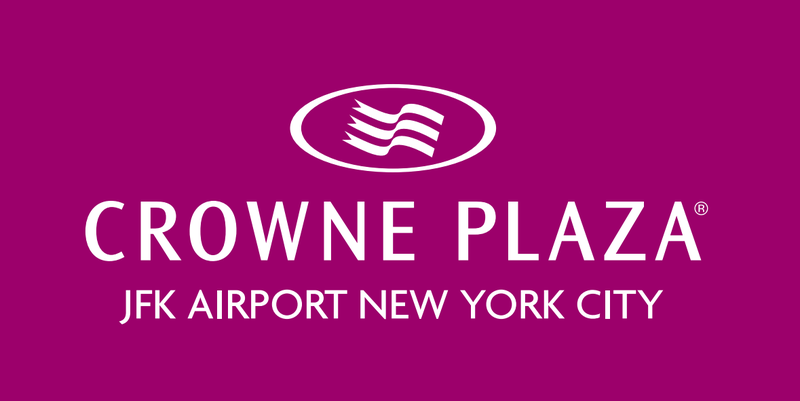 Crowne Plaza JFK Airport New York City offers 335 rooms and suites as well as a host of onsite guest amenities. Stay with us when traveling through JFK. Your top choice in a JFK Airport hotel is also closest to the terminal: Crowne Plaza JFK Airport New York City, is a full-service business and leisure hotel for business travelers, overnight guests, on-the-go honeymooners, and more. The 335 rooms and suites at Crowne Plaza JFK feature king and queen beds, Beekman Fresh Air bath amenities, free wired and wireless Internet, in-room Lavazza and Newman's own coffee, Bigelow Tea selections, safes, refrigerators, an ample HDTV channel selection, and room service. Dine at our onsite Idlewild Restaurant, or eat quickly at our JET lobby market. Work off your stress in the 24/7 fitness center which features a Zen and yoga room and full range of lifting and aerobic equipment. Business travelers will enjoy the 24-hour business center and onsite Crowne Meeting Director, making productive work days both simple and relaxing. Plan efficient meetings and conferences with our team of experts, and choose from 9 flexible function space options. Make your reservations today to ensure seamless JFK Airport travel. Take advantage of complimentary guest parking during your stay and free JFK Airport shuttle, ensuring you get to and from your flight as seamlessly as possible.